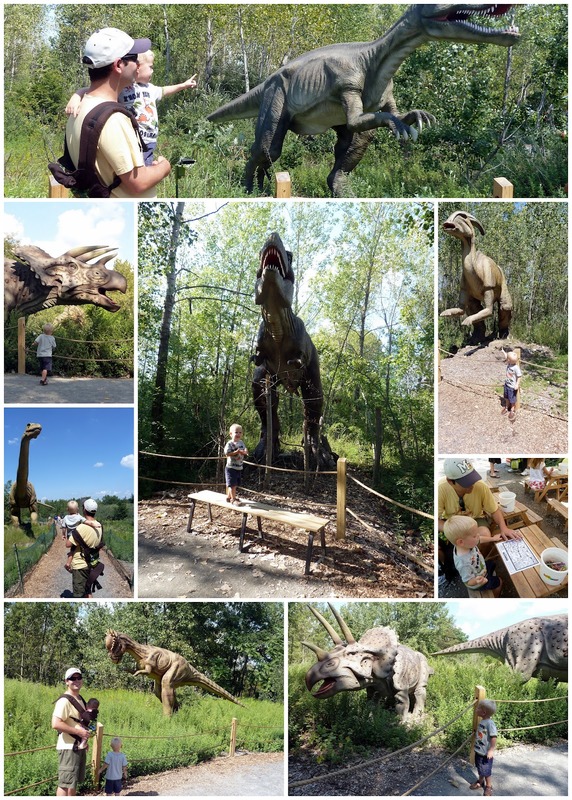 This post is way, way, WAY overdue – we actually went to Field Station Dinosaurs over a month ago! Mommy put a “no present” clause on my birthday invite (crazy, right? 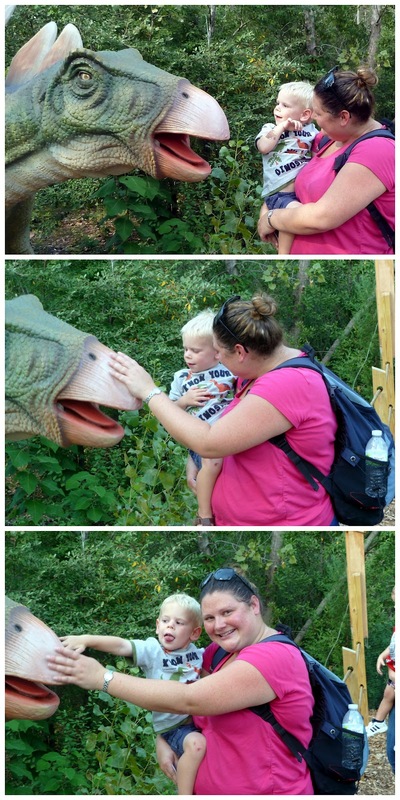 ), but Aunt Angela cheated a little and subsidized our trip to go see Life Size Animatronic Dinosaurs. You guys? Did you catch that? Life. Size. Dinosaurs. Field Station Dinosaurs is about the size of Central Park Zoo – definitely doable in a few hours – and it’s set up like a zoo, too. You get a passport when you go in to find the different attractions and you can get stamps for participating in the activities (shows, coloring, legos, etc). 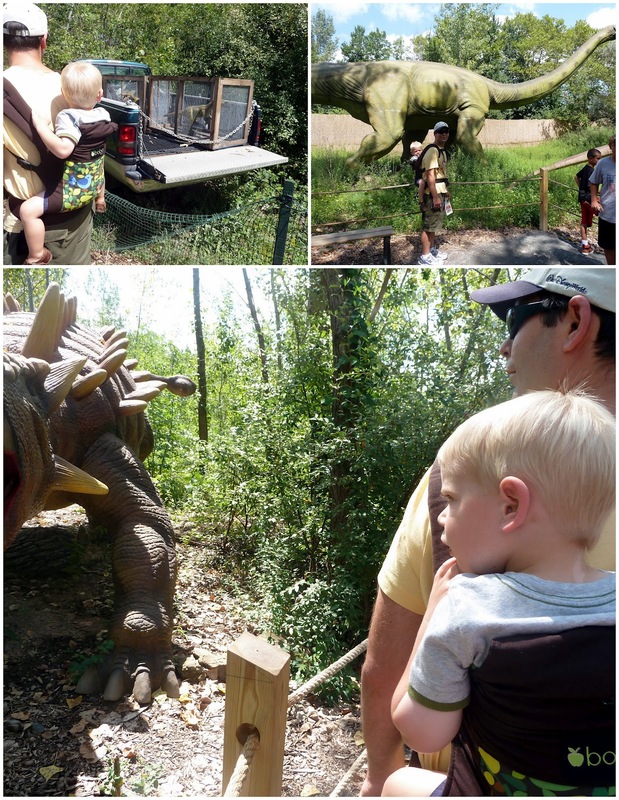 When we first arrived, I hung out on Daddy’s back – and wasn’t particularly interested in getting down right away… I mean, I do love the dinosaurs, but life size? They’re REALLY big, you guys. Plus? They move! And roar! It’s maybe a little bit daunting. I did eventually get brave and walk on my own, and was only mildly scarred for life when the *very first* dinosaur that we saw after I got down roared and moved as SOON as we walked up to it. I may or may not have run away crying. It was a Baryonyx, and clearly I got over my anxiety and went back to see him – but look at those teeth! Who can blame a guy for being spooked? And I don’t know who those Field Station guys think they’re fooling, but if he wanted to get out that dinky little rope fence isn’t stopping him. 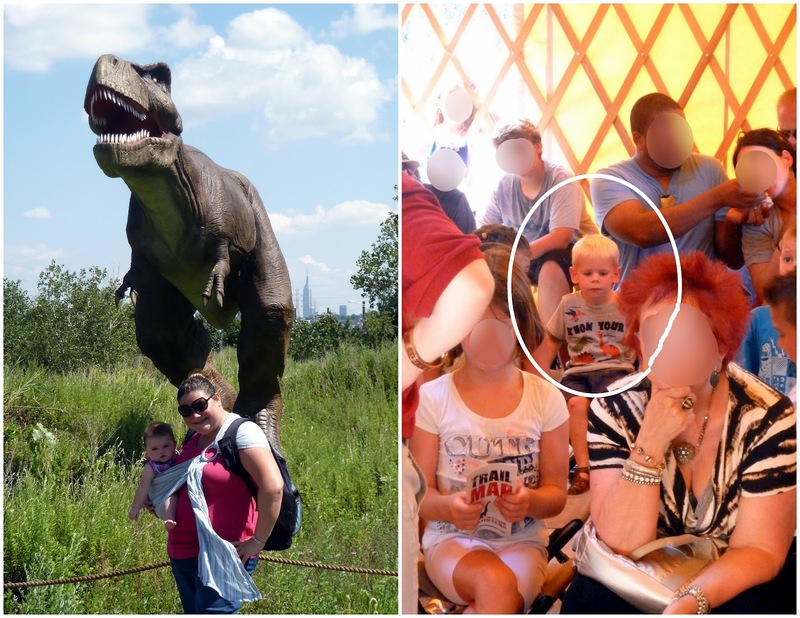 It took me hours to work myself up to posing near a T-Rex, though. The first time we went up to the lookout where the biggest one was, I fled to a nearby tent where I found a seat to watch a show instead. And? I pet a stegosaurus! I love how Baby Lulu is like “ummm, Dad? Don’t look now, but there is a dinosaur RIGHT THERE.” Meanwhile, Daddy is seriously unconcerned. It was a really sunny day, so I made sure to remember to put on my sunscreen! That looks fun! We're going to have to check that out! That park sounds super scary to me!! Glad you guys had a good time. Is it bad that I'm secretly hoping Mason does NOT get the typical “dinosaur love” like most little boys? I'm probably out of luck, huh? Love the sunscreen gif! Mason does that with chapstick and deodorant as well. Oops.